Orange Flicker LEDs for the Holidays and More! AC/DC Festoon LED & Socket - Excellent for Landscaping and More! JKL Offers Cluster Lamp Replacements! ZWF Alumiline? MAX  IP 67 & UL certified! JKL to Show Custom Multifunction LCD Backlight Assemblies at SID 2007 in Long Beach, California. 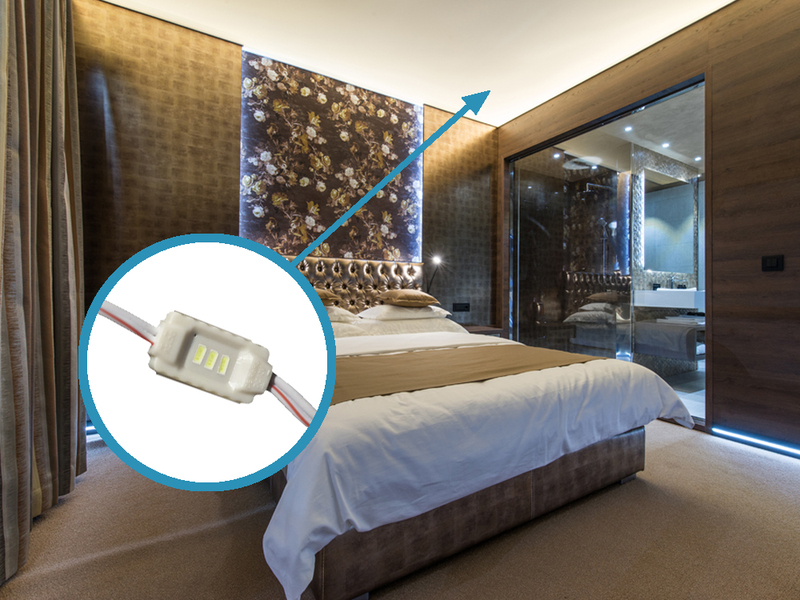 Wedge Based LED?s in Variety of Colors, Sizes and Voltages Offer Ease of Replacement. 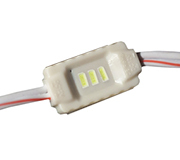 At less than an inch in length and just over a ¼ “ wide, the ZM-189-CW LED modules are ideal for small channel letters and other applications with space restrictions such as accent or mood lighting, architectural cove lighting and artistic signage. The IP67 Water Resistant rating makes them suitable for outdoor applications and at only .36W per module, this product is a real power saver. Supplied in 20 piece strands and available with a 40 piece minimum from JKL’s website at less than $1 each! These modules operate on 12VDC and come ready to install with an adhesive backing.